Owners of every piece of taxable property in Texas are about to receive their annual property tax bills. Starting around October 1, homeowners as well as commercial property and land owners began finding out if their annual tax bills have gone up, and how much. With the state’s economy doing fairly well the past few years, many Texans will see higher tax bills because their homes and properties are worth more. That valuation is a big driver of the final bill. Those who pay their property taxes through a mortgage might not notice a difference for months because their mortgage company receives the bill soon after October 1 and then rolls it into the monthly payment. Those who own their property outright or choose to pay the tax bill themselves, on the other hand, get a cold, hard look directly at the bill each fall. The law automatically puts a lien on the property every Jan. 1 to secure payment of that year’s property taxes. A delinquent property tax lien can hurt your chances of getting full market value for your property if you’re considering selling. Payment of the bill is due no later than January 31, 2016. Starting February 1, 2016, unpaid taxes are subject to penalties and fees that can reach 42 percent of the original bill if still unpaid by July 1. The bill is calculated based on the value of the property and the tax rates set by each taxing entity in which the property resides. A typical property is taxed by several local entities such as the county, a city, a public school district, a college district, a hospital district and others. It’s most likely too late to fight the bill if you think your property’s valuation is too high. With the exception of a handful of special circumstances, the deadline to contest property values was May 31. Unpaid property taxes can lead to foreclosure. Thousands of homes, commercial properties and land parcels are auctioned each month on county courthouse steps across the state due to unpaid property taxes. Not receiving a tax statement from your county doesn’t get you off the hook. Texas law says property owners are responsible for paying the bill even if the owner doesn’t receive the bill. Those who don’t receive a bill by November 1 should contact their local tax assessor-collector. According to the Tax Foundation, an independent research organization, Texas’ effective property tax rates for homeowners are the sixth highest of all 50 states. More than 4,000 local governments levy property taxes in Texas. Combined, they levied more than $45 billion in property taxes in fiscal 2013, according to the Texas Public Policy Foundation. 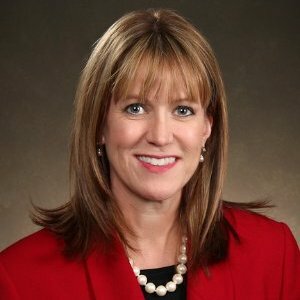 Mary Belan Doggett is Vice President/Division General Counsel at San Antonio-based Propel Financial Services, which provides property tax lien financing solutions to property owners throughout Texas.